First I must start off with an apology to the half dozen followers that still stop by this blog from time to time, I haven’t been here in months and I am sorry…. 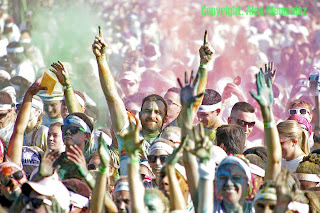 So with that, I will start 2013 anew with a shoot I filmed this morning, the Color Run of Orlando. This is another 5K type event but since it was competing head to head with the Disney marathon, I chose to cover this instead. 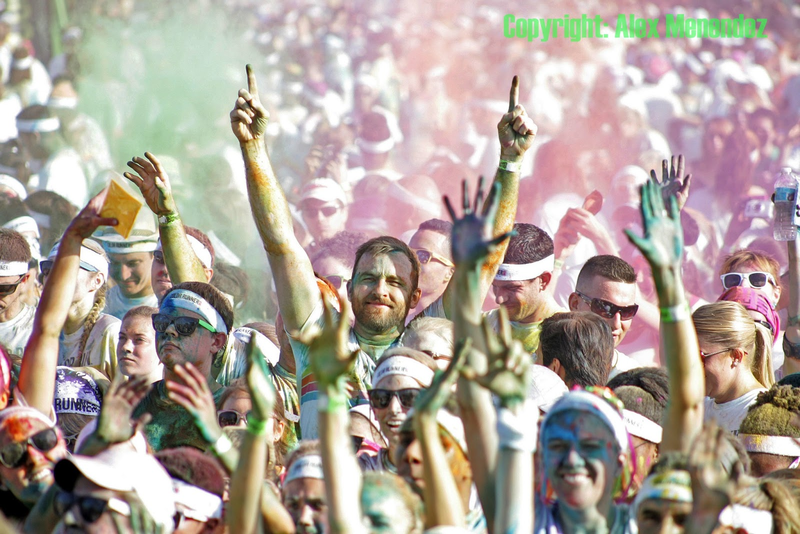 The concept is pretty cool, show up wearing bright white and run 3 miles while volunteers pelt you with various colors of a corn starch like powder…..to say this was a visible shoot is an understatement! 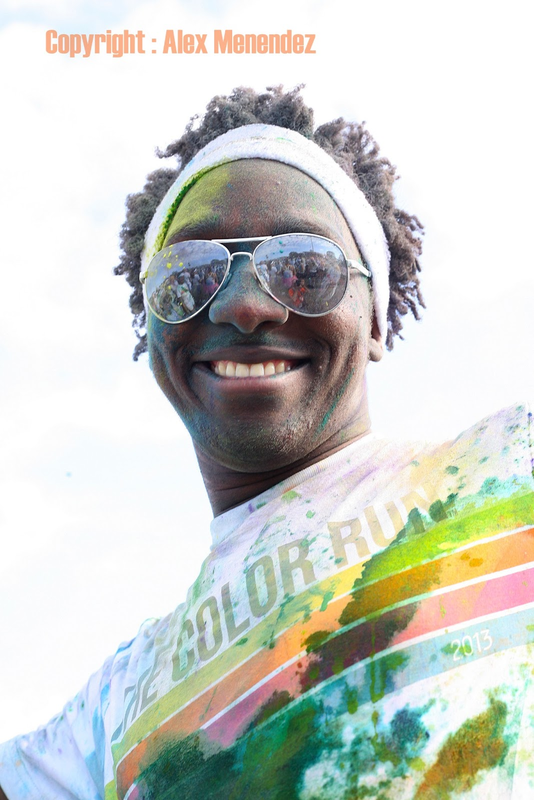 My mother in law gave me the heads up about the event, and since it is only 3 miles from my house, I figured I’d give it a shot……..so GLAD I did. I wish I was running in this one lemme tell ya……..nothing but smiles all the way around. I sent a quick email to the event organizers and was invited to shoot away….so once I arrived there I made my way to the volunteer tent, secured an orange t-shirt and got to filming. 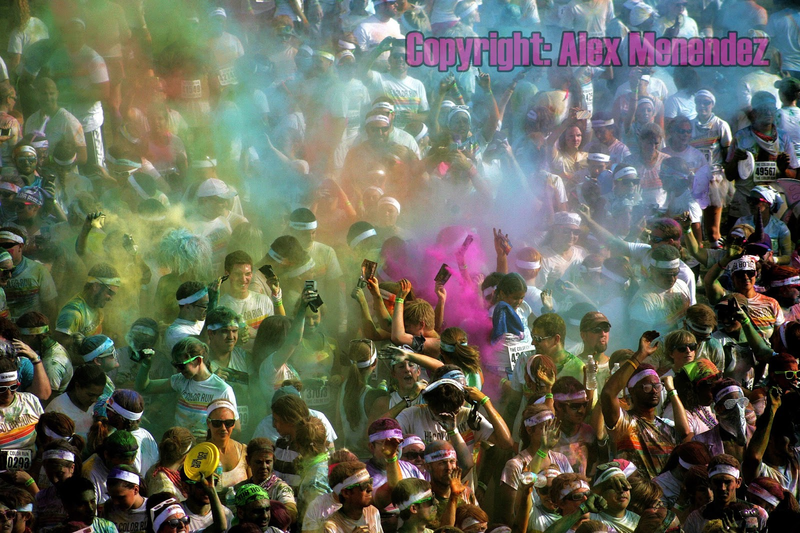 A word of warning to any future photogs wanting to cover this event…bring your oldest camera and lens….the powder (dust) gets everywhere and does not come out easily. I grabbed my oldest Canon 5D MKII and MKIIN, with old plastic style kit lenses…..I did miss my pro glass and wide angle lenses..but the risk was not worth the loss if I ruined one…. 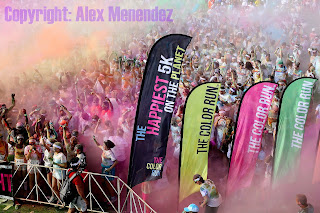 The event featured about 10,000 runners/walkers and the weather could not have been much better! 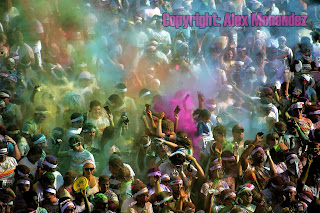 I look forward to shooting this next time it comes to Florida, if I’m not running in it myself. More images here, and thanks for stopping by.